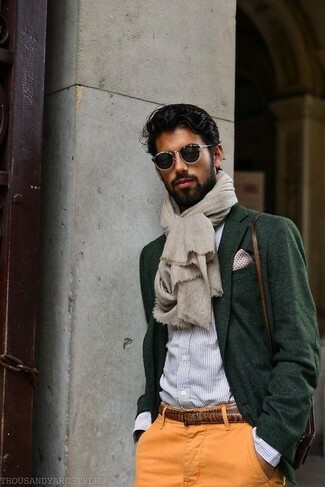 Choose a mint blazer and a Salvatore Ferragamo brown leather belt to achieve a casual street style and stylish look. If you wish to instantly dress down this ensemble with a pair of shoes, why not add a pair of brown leather sandals to the equation? A light blue dress shirt and a Salvatore Ferragamo Reversible Leather Belt Brown Black 36 from Nordstrom are a smart combo to add to your daily repertoire. Brown leather derby shoes will bring a strong and masculine feel to any ensemble. 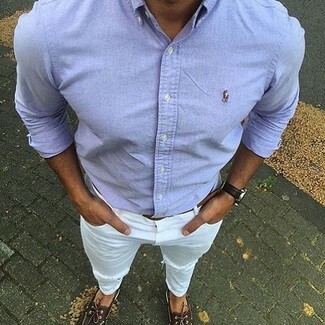 This combination of a light blue long sleeve shirt and a Salvatore Ferragamo Reversible Leather Belt Brown Black 36 from Nordstrom is put together and yet it's easy and ready for anything. Dark brown leather boat shoes will bring a dash of polish to an otherwise straightforward look. For a laid-back ensemble with a twist, opt for a dark green wool blazer and a Salvatore Ferragamo brown leather belt. Consider pairing a navy duffle coat with a Salvatore Ferragamo Reversible Leather Belt Brown Black 36 from Nordstrom for comfort dressing with a city style spin. 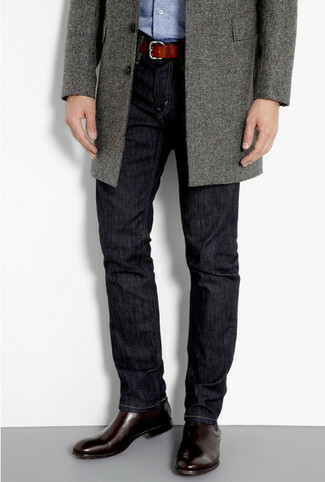 Our favorite of a myriad of ways to finish this outfit is navy and green plaid suede loafers. A light blue blazer and a Salvatore Ferragamo Reversible Leather Belt Brown Black 36 from Nordstrom are a good outfit to take you throughout the day. 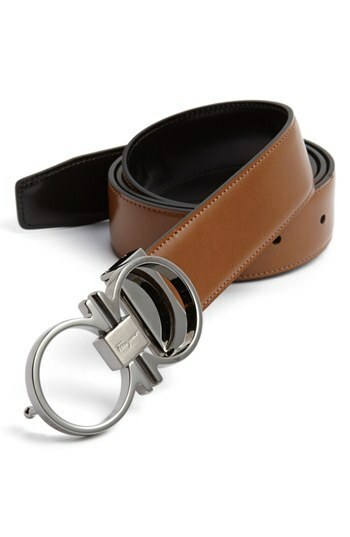 If you like practical menswear, consider wearing a beige dress shirt and a Salvatore Ferragamo brown leather belt. If you want to instantly level up your look with one single piece, complement this outfit with brown leather boat shoes. 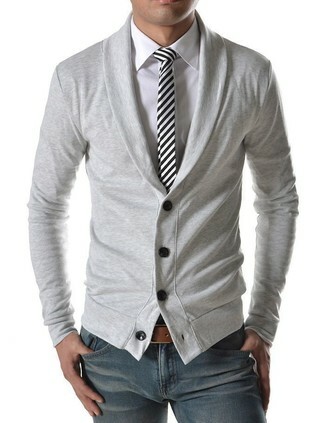 A grey shawl cardigan looks so great when worn with a brown leather belt. If you're all about functionality dressing when it comes to your personal style, you'll love this easy pairing of a grey overcoat and a brown leather belt. 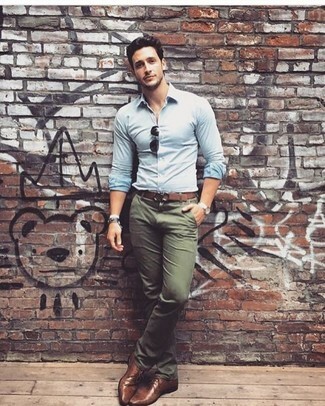 Tap into some David Gandy dapperness and complete your getup with dark brown leather chelsea boots.